Cyber-savvy Estonia has taken yet another step forward in global technology, as the small Baltic state is set to open the world’s first data embassy in Luxembourg early next year. The heavily protected server room will contain important Estonian e-government data, so that the NATO and eurozone member can access it even when systems are down at home. “Data security and cyber security are generally crucial from the perspective of both people’s confidence and the functioning of services,” Estonian Prime Minister Juri Ratas said last month. Ratas released the statement after signing an agreement with his Luxembourg counterpart Xavier Bettel on housing Estonian data there. “This is the first data embassy in the world,” said Ratas, whose small country of just 1.3 million people has been dubbed E-stonia for being a trailblazer in technology. After five decades of Soviet rule ended in 1991, Estonia opted to go hi-tech as fast as possible, and still outstrips other members of the European Union, which it joined in 2004. One of the most connected countries in the world, the Baltic state has made most public services accessible at a special state portal and even pioneered e-voting in 2005. Its capital Tallinn is home to the NATO cyber-defence centre, where data experts from across Europe and the United States work to protect the information networks of the alliance’s 29 member states. Estonia has bitter experience in the field: a politically charged dispute with its Soviet-era master Moscow in 2007 was marked by a blistering cyber-attack blamed on Russian hackers — though the Kremlin denied any involvement. The attack lasted two weeks and took scores of websites offline, including those of the parliament, banks, ministries, newspapers and broadcasters. One year later, the Tallinn-based NATO cyber-defence centre was up and running. 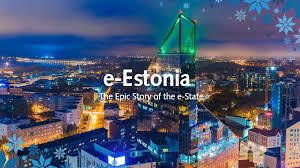 Work on using international cloud services to back up Estonia’s e-government data began in 2014, when the country joined forces with Microsoft to try storing a state gazette on the cloud. The data embassy in Luxembourg will notably back up information regarding taxes, land, businesses, identity documents, pensions, legislation and the census. “The virtual data embassy’s main goal is to guarantee the country’s digital continuity: the capacity to start the systems when necessary and retrieve data from externally stored versions,” said Emilie Toomela, spokeswoman for the ministry of economics and communication. “For this, Estonia needs additional server resources that should be completely controlled by Estonia — this means that they should be subject to the same clauses as Estonia’s physical embassies (e.g. immunity) — but should be situated outside Estonia,” she told AFP. Though there is a consulate in Luxembourg, Estonia’s ambassador to Luxembourg and Belgium lives in Brussels. Toomela said the data embassy will have no direct link to the embassy in Brussels, nor will it have any people working there. “Luxembourg was chosen for the state-owned high-security, Tier 4 certified data centres the likes of which Estonia does not have and also because Luxembourg is ready to guarantee diplomatic privileges to Estonian data and infosystems,” she added.